Appletons is a family owned business supplying a comprehensive range of quality deciduous, evergreen and conifer seedlings to the nursery industry. We offer a comprehensive range of over 350 deciduous, native and evergreen species available in a range of sizes from 15 centimetres to 1.3 metres and as one or two year seedlings and two year old transplants. The bulk of our trees are grown in open ground seedbeds and are supplied to our customers bare rooted. The trees are lifted and graded in the winter when they are dormant and carefully packed for dispatch without soil around the roots. Evergreen, some deciduous and conifers are grown in Swedish developed side-slit cells which allow air pruning of the roots and prevent spiralling of roots inside the cell. The compact root system holds the bark media intact, extending the optimum planting time to include autumn and spring. These ‘plugs’ provide a good option for difficult-to-transplant evergreens, especially on drought-prone sites. Since 1968 our nursery has grown steadily and now employs 20 very experienced and dedicated full-time staff. During the busy winter lifting season we employ an additional 20 plus seasonal staff. Our container area is located at the Wakefield site. Plug grown plants are grown on raised tables and covered for protection from the elements, allowing delivery of plug grown plants all year round. We are leaders in the use of fixed seedbed management and add 1500 cubic metres of compost annually to our seedbeds to increase the organic matter. This results in healthy, friable soils which grow quality trees. Our seedbeds can be nurturing up to 500 species in varying stages of production. 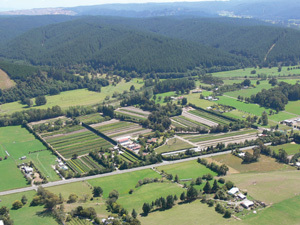 The Forestry Nursery was chosen for its free-draining soil and northerly aspect nestled against the Mt Heslington foothills. The 45 hectare site allows considerable scope for increased production when demand requires it, with extensive rye grass leys to rest ground between cropping cycles. 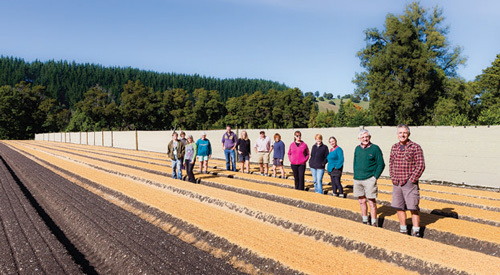 Appletons Arboretum was established 20 years ago as a future seed source, and trialling area for new species. 6500 trees from 1000 species have been planted on the 150 hectare property and seed crops are now being collected. Precise grading and packaging to customers’ requirements. 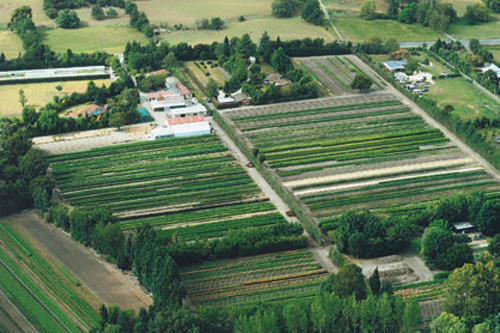 Appletons ornamental nursery and office are in the Wai-iti Valley south of Wakefield. 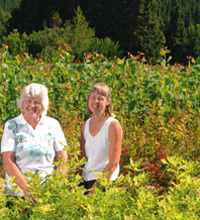 The 21 hectares of alluvial silt are ideal for growing a wide variety of species. We supply a comprehensive range of quality deciduous, broadleaf and conifer seedlings to the nursery industry. Commitment to quality, service and delivery is a key componet of our operation. The heart of Appletons’ success is our willingness to try new ideas, listen to our customers and respond to their needs. 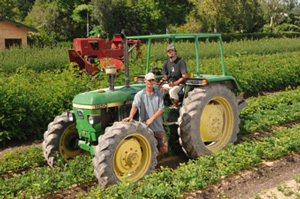 Appletons is a family owned business. In the last 44 years, our nursery has grown steadily and now employs 19 very experienced and dedicated full time staff. During the busy winter lifting and grading season we employ an additional 35 seasonal staff. Our container area is located at the Wakefield site. Plug grown plants are grown on raised tables and covered for protection from the elements, allowing delivery of plug grown plants all year round. This is a relatively new innovation for Appletons, designed to meet the changing requirements of our customers. We are specialists in our business, and our economy of scale ensures that Appletons’ quality is available at competitive prices. Whether you’re planting a shelter belt or landscaping an entire property, Appletons grow seedlings that produce trees with vigorous tops, balanced with well- developed root systems. Our success depends on the success of our customers. We work hard to exceed client expectations for timeliness and quality of plant material.